The general mindlessness in choosing a stock photo is what makes them so pernicious. Editors reach for an image that captures the overall theme of the article while drawing the eye of distracted media consumers—typically as an afterthought, something that accents a piece rather than defines it. It’s not an easy task, but it’s one that, left unexamined, can become a form of propaganda independent of any written text. And on and on. These photos have been used constantly for years, in dozens of articles. The point of the image is to lazily tie together US-bashing and perceived subjugation of women, reinforcing the image of Iran as a country defined by misogyny and seething hate for the West. 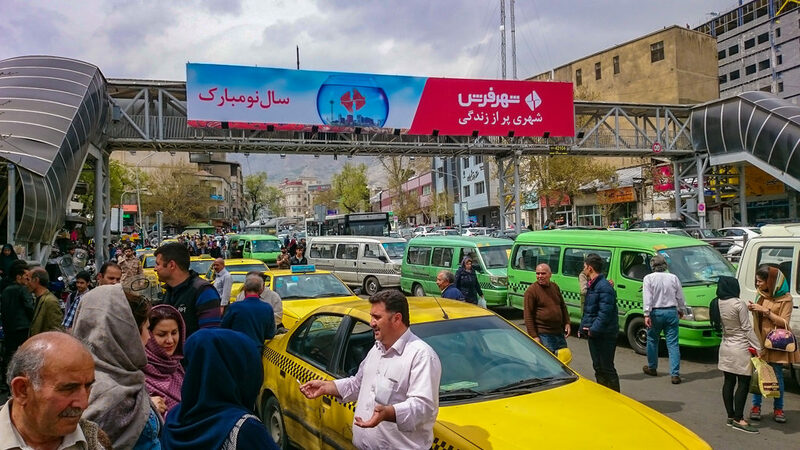 This isn’t, of course, to say that Iran does not have popular and common displays of anti-US rhetoric—or, for that matter, that such rhetoric doesn’t have much historical basis. 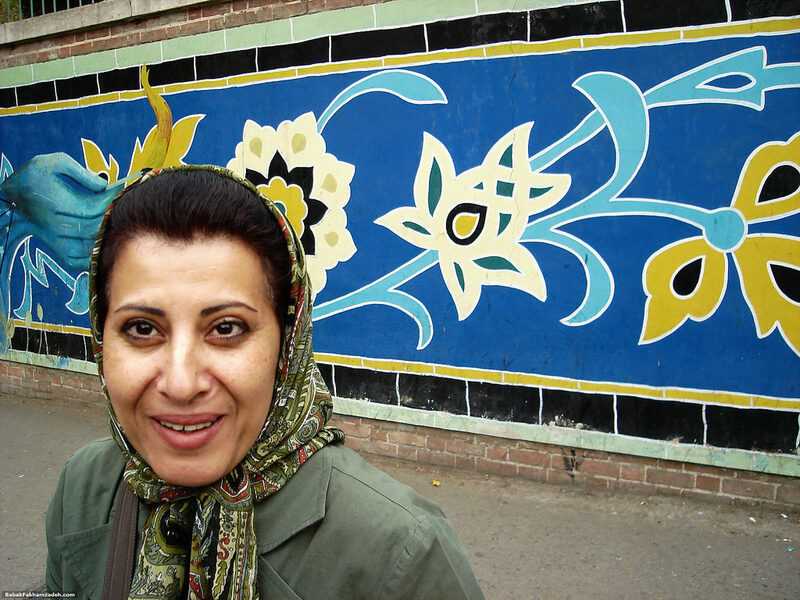 Such murals do exist—the one pictured most frequently adorns the former US embassy in Tehran—but their existence is only 0.01 percent of a broader picture of Iran, and the fact that they’re used nonstop to define a country of 80 million tells us how much of the media’s Iran coverage is on ideological autopilot: They hate us—and here’s an image that conveys this, while pandering to orientalist stereotypes. Totally wild idea, but maybe give it a try. How we visualize the news is just as important as the written content. 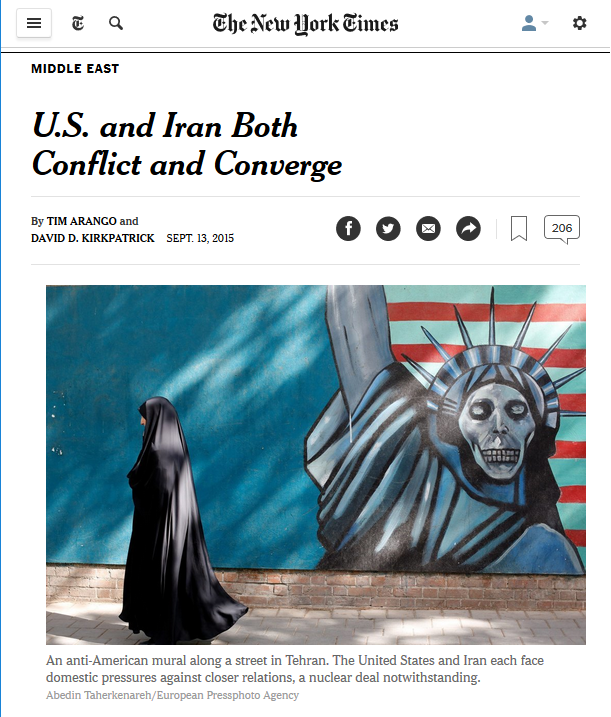 By reflexively relying on the most sinister and bias-reinforcing images to depict Iran, we help perpetuate the idea—even if unconsciously—that Iran is an anti-American hellscape. At last, some logic. Thanks you. Thank you Adam! 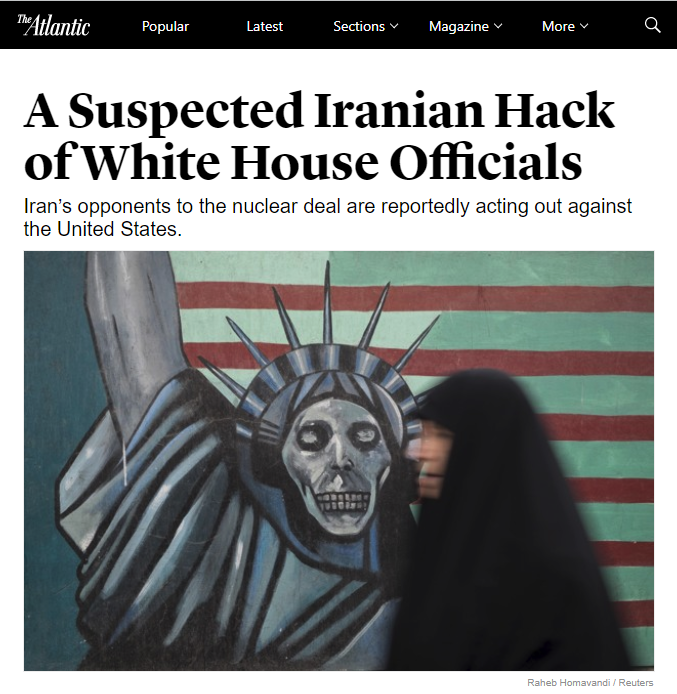 It is often the USA which insists on the hatred and demonizing, and I notice that Iranian/US history starts for the USA in 1979, not with the overthrow of the Iranian government by the CIA in 1953 and the installation of the Shah and SAVAK. Bravo. We can thank the Israel lobby for incessant anti-Iran propaganda. 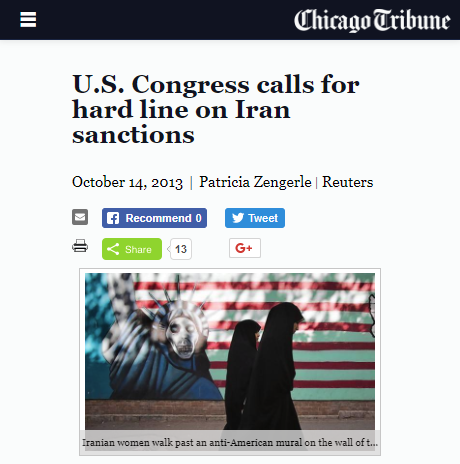 Obviously the anti-American posters (such as the US Embassy wall that we often pass by in Tehran without even looking at) are used by the American media as signifiers to not only define the content of their Anti-Iranian propaganda articles or their real/fake expert interviews but to enhance the demonising effect of the content. However, there is more to it than a simple demonization effect; it conveys the ever preoccupation of the American mind with what after more than three decades they still regard as a historic humiliation – humiliation, because the US politicians and media still regard the Embassy Take Over as an unforgivable crime: still failing/refusing to acknowledge the real function of the US Embassy in Tehran, not just at its most destructive stage in 1953, but up until 1979 – even then, while the students were attacking the Embassy, Brzezinski, President Jimmy Carter’s National Security Advisor, was thinking of the possibility of having another military coup! 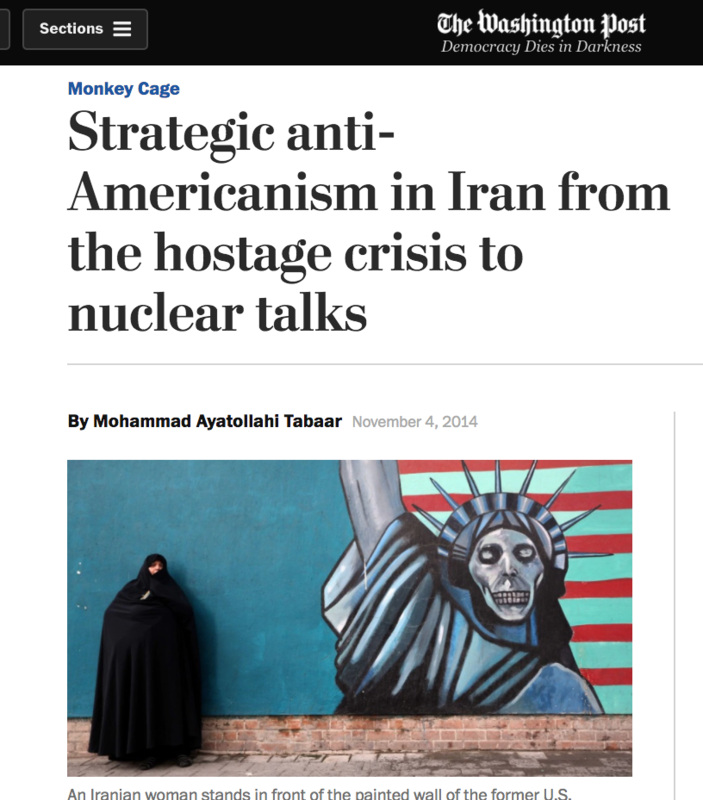 The reversal of the signifier, turning the Anti-American image into an Anti-Iranian propaganda image, started with the hostage crisis. I recall as a student in 1979 the horrible images about Iran being constantly projected on American television screens at the university giving the impression that all Iranians were highly violent dangerous fanatics; failing to realise the consequence of the nasty impression those images would leave on many American university students and officials including the lecturers who then would look for victims: many Iranians suffered abuse, violent verbal and physical attacks, slanders and humiliating court hearings: shocking criminal allegations based on figments of imaginations that had been constructed in line with those media images and news. 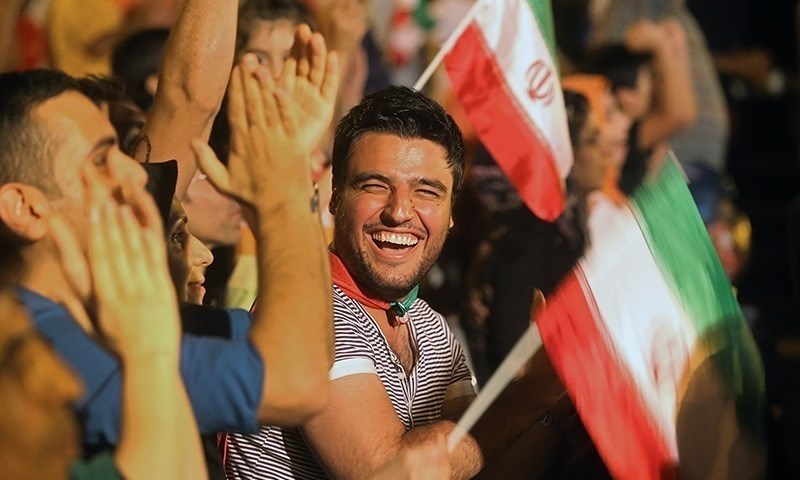 Iranians do not need to prove to the world that they love Americans – honestly, who would love his attackers? 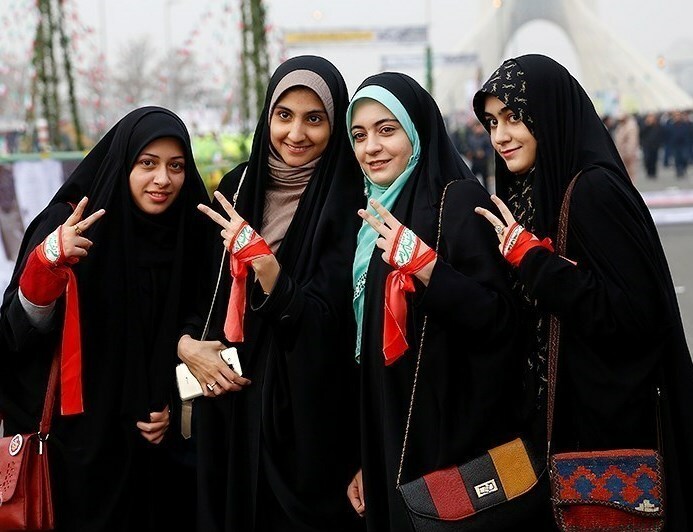 The pre-Revolution era followed by the impact of more than three decades of economic sanctions, the long imposed war and chemical attacks and the airbus, and the demonetization of the whole nation would hardly give a ground for love and friendship, yet the Iranian people have always been friendly and hospitable when meeting the Americans in Iran. It is for the US Administration and the US media to change and apologize for their past conducts and start a relation based on ‘mutual’ understanding and respect. Unfortunately the American mass media have so far failed to understand what millions of ordinary Iranians have been through because of the US foreign policy. 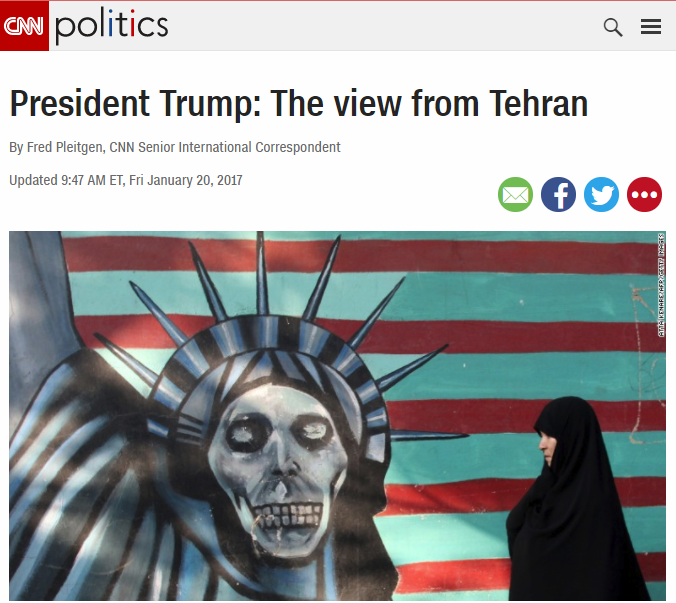 By using such propaganda techniques the US media further sow and invigorate seeds of hatred failing to realise that it is not for the Americans but for ‘millions’ of Iranians to forgive the suffering inflicted on them and their children by the arrogant American politicians and American mainstream media. Good post Khosrow. The closest to an apology from anyone on US policy towards Iran was Bill Clinton’s oblique comments in 1999, and Barack Obama acknowledgment of the US actions in his Cairo speech in 2009, but not about the events of 1979, instead about the CIA role in 1953. And I don’t think we will ever see anything close to an apology when the US is seeing defeat after defeat by Iran in Iraq, Syria and beyond.